What Color Will Your Countryman Coupe AKA Paceman Be? MotoringFile says the upcoming Countryman Coupe, Paceman, whatever you call it, will come in Cooper and Cooper S guises "with the full gamut of Countryman colors". In addition, each will have a unique color featured on the launch cars - the Cooper, a Copper metallic/deep orange; the Cooper S, Starlight blue metallic - each with a set interior color combination. All info suggests the debut will be at the September Paris Auto Show and US delivery near the end of the year. A British study reported by the Daily Mail said that birds are most likely to leave “their mark” on red cars, while green cars were apparently of little interest. The observational study found that 18 percent of red cars had bird droppings, while just 1 percent of green cars had been tagged by the winged bombers. Henry Catchpole of evo travels with Kris Meeke in a MINI WRC up the Goodwood hillclimb and around the forest rally stage at the Goodwood Festival of Speed. Wow! Look At The Size Of Those Trophies! Motorsport.com asks viewers to "Caption This!" photo of one of the trophy presenters at last week’s World Rally Championship event in New Zealand. Limited Edition Chili Red Countryman Headed To The U.S.
MotoringFile has posted an article that claims about 400 special edition model MINI Countryman, finished in MINI’s signature Chili Red, are headed to the U.S. Expect each dealer to get two or three. 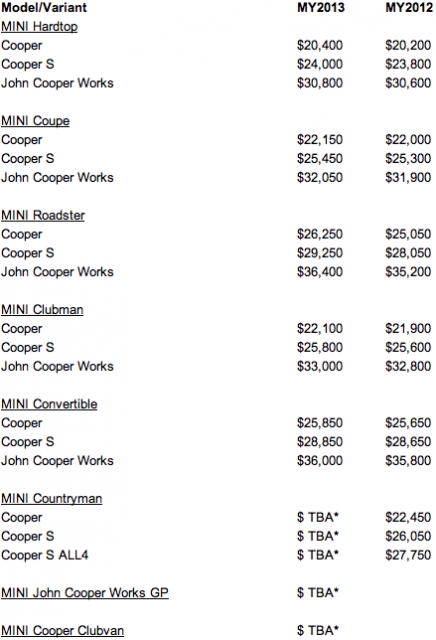 Note that pricing and options have yet to be finalized, but it is expected that the vehicle will be an Cooper S ALL4 model. 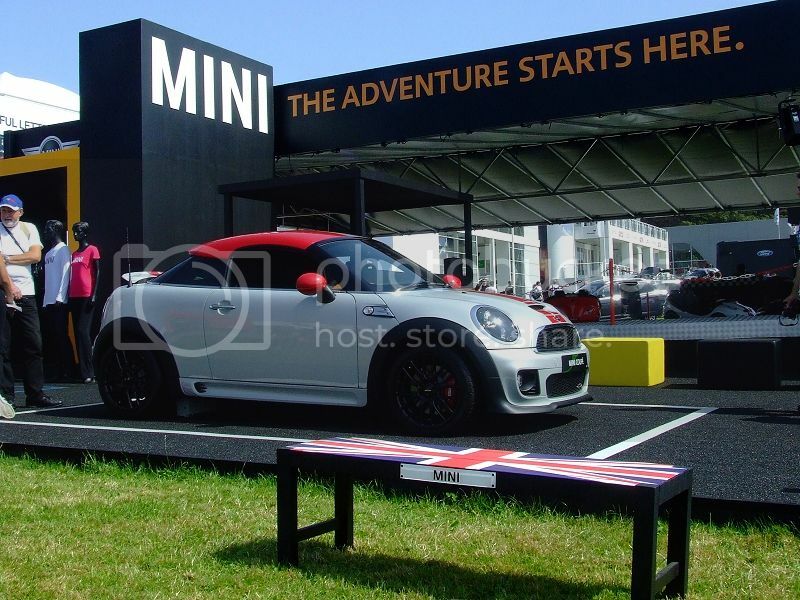 NeilAndHisMini @ totalMini.com has posted a terrific series of pictures of MINI's presence at the Goodwood Festival Of Speed. Surf's Up Rally Registration Now Open! Free MINI Technical Service Clinic followed by a run to Half Moon Bay to catch some waves and rays, then return to MINI of Stevens Creek for a BBQ lunch. There will be plenty of surprises along the way so come hang ten with us! Please provide at least two, unexpired canned goods at the time of check-in for the registration fee. All donations go to Second Harvest Food Bank. He always wanted to race a MINI Cooper. So, when he turned 15 years old he got the opportunity to do so. Fox News Latino reports BMW has delivered 12 MINI E's to government officials, researchers and academics in Mexico City as part of a field trial of their mobility and power consumption, as well as road conditions in one of the most heavily polluted capital cities in the world. Overall, we really enjoyed our time with the MINI JCW. The striking metallic paint with red highlights proved popular with both blokes and birds. There was ample leg and headroom for my tall frame, even considering the sunroof. And with the seats folded down, my condo-sized hockey bag fit just fine, although the stick has to slide down by the passenger door. To get the party started, we found music sensation Rozzi Crane to open for Matt. Rozzi, fresh off her mega contract signing with Maroon 5’s Adam Levine’s 222 Records, Rozzi will bring down the house with her explosive soulful voice and commanding charisma. Dropping beats and spinning us through the night will be NYC native DJ Rell. Rell was home schooled in the house of funk, soul and Motown and soon scratched his way to the Scratch DJ Academy in LA. DJ Rell will work his magic in-between sets and keep the crowd jumpin’ and bumpin’ all night long. The Oxford Mail spoke with John Sheppard who was on the design team for the original Mini and he revealed the origins of the car. “The chairman, Sir Leonard Lord, was fed up with seeing bubble cars everywhere and told us to make a small car. “He did not draw like we had to do – he sketched designs on pieces of A4 paper like Rolf Harris. Sheppard also helped design the Mini Metro and Montego before retiring in 1982, and said he was always surprised by the Mini's success. 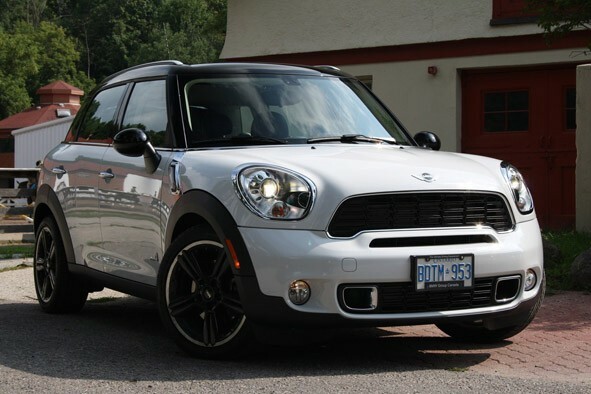 We say the 2012 Mini Countryman is a fine fit for anyone out there looking for a pretty darn practical yet ridiculously engaging to drive compact SUV. So whether you are a “Single Lady” waiting for someone to “Put a Ring on it” or truly are a “Macho Man” there is no reason why you wouldn’t love having a Countryman parked in your driveway. Any caveats? None really except the fact that our built in Mini sunglass holder couldn’t hold our oversize aviator style super trendy Southern California sunglasses. Maybe Mini should look into a “Super Size” sunglass holder for those of us with “Super Size” heads. Other than that, no problems for us during our week with the 2012 Cooper S Countryman with All4 Drive and we couldn’t be happier to report that this “Mini” lived well up to our “Maxi” expectations. Car and Driver says MINI has confirmed that the three-door Countryman Coupe will go on sale globally early next year as a 2013 model. Its debut is scheduled for September 2012. Pirelli World Challenge | Canadian Tire Motorsport Park from P.J. Groenke Racing on Vimeo. How Much Room Is There In A Clubman? Let Jakeman21642 @ YouTube show you. Pony Films present this Spanish language video about a group of 4th semester students of Industrial Design at the Mexican institute CEDIM who received a challenge from Red Bull Energy Drink and CEDIM to re-design a MINI Cooper based on user experiences from contact with the energy drink. The Red Bull Challenge: CEDIM from Pony Films on Vimeo. Mini wants to ensure that the Roadster and Coupé are seen as sports cars to help separate them from their identically-powered and similarly-sized hatchback and convertible cousins, but also in an effort to attract a younger buying group. If you can believe it, a big portion of Mini buyers in Canada are actually middle-aged or older adults, looking to downsize now that the kids are out, or needing a second “fun” car. And I can’t believe I’m saying this, but I buy it. Even though I’ve known for years that Minis have had back seats, I’m somehow still surprised whenever I encounter one. I mean, how many times has the back seat in that used 2008 Cooper you may be considering actually been occupied? Three times? Ten? Sure, they’re nice to have, but not necessary. Instead, I’d take the trunk space and weight savings earned by dropping two seats (the Mini Convertible S weighs 1,665 kilograms, the Roadster 1,510), which makes a big difference in a car this small. Then, I’d rather have the squat stance and slanty windshield provided by the Roadster, not to mention the dollars saved; at $32,900, the Roadster starts at a lower price than the Convertible S.
In fact, if I were to go the Mini route, I think this just might be the one I’d have. There was way more to it than you think. Zero to 100 km/h reportedly takes 6.4 seconds; top speed is electronically limited at 240 km/h. But the fun is not restricted to the top end of the driving experience. Decelerating to lower speeds induces a rapturous burble as the engine reverberates through chrome-tipped dual exhaust. Ferrari and Maserati may own the world when it comes to making blissful engine sounds, but given the price point, this JCW Coupe is mighty impressive. Are you a MINI owner? Are you planning on going to the final weekend of MINI Takes The States in Los Angeles for autocross at the Rose Bowl or the MINI Takes The States Wrap Party at the House of Blues? If you are going to L.A. from the Bay Area the cost is $30.00/person and you must register for MTTS and for MTTS events HERE. 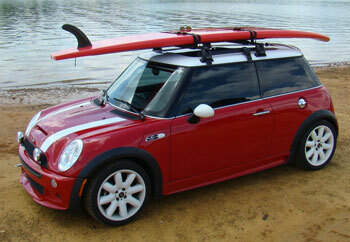 However, the MINI Takes The Coast Treasure Island party is FREE if you register early. Treasure Island, for those in the know and those who will soon find out, is the perfect spot to have a reception. Add some wine, beer, finger fiddles, a hot local DJ, and voilà! It becomes a party. WE MEET. WE MOTOR. WE RALLY. Are you a morning person? Neither are we. Except on days like this one. This is a rise-n-shine hit the open roads of the California sun kinda morning. There will be coffee, pastries and plenty of sunny dispositions. More importantly, route sheets, some recommended must-see scenery and fab picnic spots, plus a box lunch to boot! Everything you need to take in the sights and thrills of motoring past the 200 foot cliffs of a hang glider hangout on this amazing 8-9 hour jaunt that puts the dream in California Dreaming. This is a FREE event. No pre-registration is needed. CASUAL IS THE NEW BLACK. You can pat yourself on the back. You made it. There is something quite congratulatory once you have motored your way through a rally. You and your fellow motorists can celebrate the day by sharing your stories of the open road and take in the Los Angeles scene at the Hotel Angeleno . MINIcross has officially become legendary. What will you do when the hairs on your neck raise and your knuckles turn white as you steer through a course designed to challenge everything you know about motoring - and then some. With our seasoned staff of driving professionals, you can learn how to put the go, in our famed go-kart engineering. Meet, greet and celebrate when MINI TAKES THE STATES 2012 officially comes to an end. Saying goodbye is never easy. So let's just say see you soon. Come together for one last hoorah before we all go our separate ways. Is This A MINI Traveller MPV? 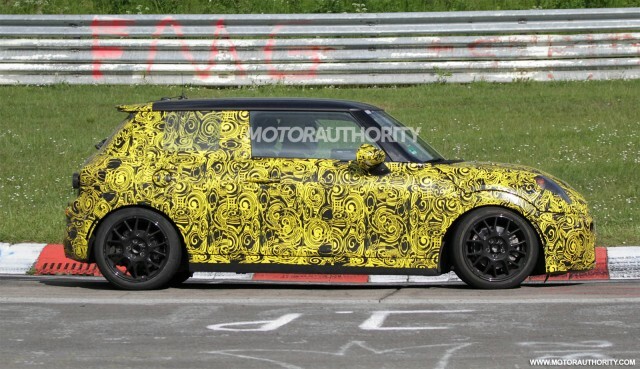 A MINI Countryman with beefed up wheel arches and the Cooper S engine undergoing testing . . . According to the article it is a MINI MPV called the "Traveller," a 5-seater van/MPV based on the platform of the Countryman. The article further advises that the Traveller will be previewed as a concept under the name "Spacebox" and if green lighted with start production in 2014. Mini Countryman from jonattas poltronieri on Vimeo. 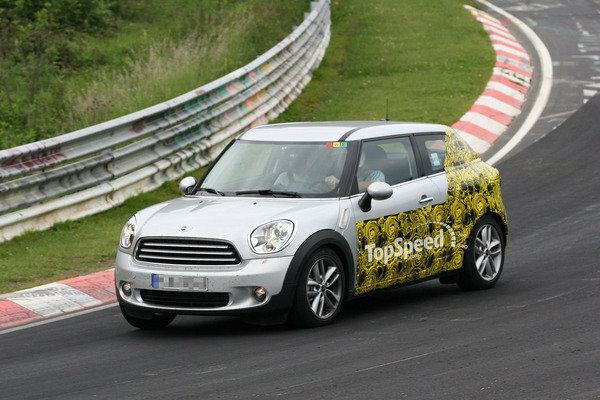 autoevolution captures a photo gallery of spy shots of the MINI Countryman Coupe, which is scheduled to be released in mid-2013, as it was being tested in Germany. autoevolution discusses this beautiful orange chrome Cooper S framed by black accents - roof, wheel, arches, grille and tinted windows by the Czech company WrapStyle. 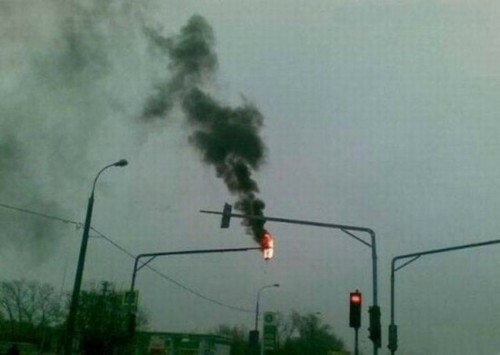 If Red Means Stop, Green Means Go, Yellow Proceed With Caution, . . .
Forbes Calls MINI Clubvan "An Urban-Hipster Delivery Van"
It’s not likely the Clubvan will have widespread appeal beyond a limited niche of urban-hipster small businesses, but you have to give MINI credit for moxie with its ability to find new ways to exploit its core model line. 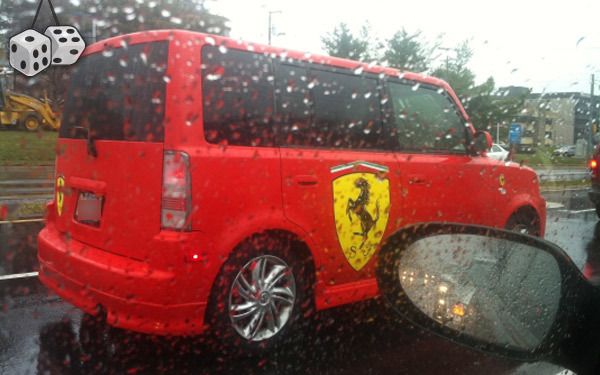 And at least in that regard, the Clubvan indeed delivers. So Where Can You Get Your Car Fixed Cheaply? Not in California. Surely not Wyoming where the average is almost $390 per repair- 17 percent more than the national average. You might want to try Indiana. Its drivers pay the least with a $284 average repair bill. Does The Coupé Sacrifice Too Much For Style? What I don’t understand is the loss of functionality for the sake of styling. The Coupé has only two seats instead of four and there is no benefit from this loss. The cargo capacity is not much more and everybody puts their bags on the rear seats anyway. So this one is up to personal choice: Do you like the Coupé with its oddball roofline or do you prefer the traditional flat top? Either way, we can all agree that the MINI family of automobiles embodies some of the best traits of the driving experience… bold design, a peppy powerplant, a raucous exhaust note and many smiles as you motor down the road. There is nothing like the MINI experience no matter what the shape of the roof is or isn’t. Can’t decide? Go for the convertible! 'It's Tomo again this will be my last column here at Rally New Zealand. It was a great weekend for WRC Team MINI Portugal with both drovers successfully completing every stage! Armindo finished the rally in the Top 10 in 8th earning himself four WRC points and Paulo brought his MINI home safely in 17th place overall. 'After two long drives to Remote Services on the first two days, it was great to enjoy a quiet day in Auckland's main Service Park and I have to tell you we had a fantastic view of the city skyline. Today's stages were based north of Auckland and the itinerary included two runs through a Tarmac Super Special Stage at the city's World Memorial Museum. 'We're getting used to the rain now, and it was well-predicted last night! Today Armindo had a mix of two used soft tyres on the right side of his MINI and two new soft tyres the left side. Choosing to fit the tyres side-to-side aims to keep the balance between the front and the rear of the car. Paulo's MINI sported four used soft tyres still in good condition and reported that the Puhoi stage (SS17) was particularly slippery. Armindo's task for today was keeping Ken Block behind him and then waiting to see if any crews in front had a problem. This strategy worked well and we bagged 8th place after Tanak rolled on the penultimate stage. We had a trouble free rally and it's a real testament to the team that after three hard events the cars ran like clockwork. Armindo's confidence grew and his times were the most competitive of his MINI career on gravel, which is a real bonus going into the next event, Rally Finland. In Finland the roads will be in complete contrast to New Zealand but grip levels can be similar. 'I had the benefit of being supported by George Corfield for the week. 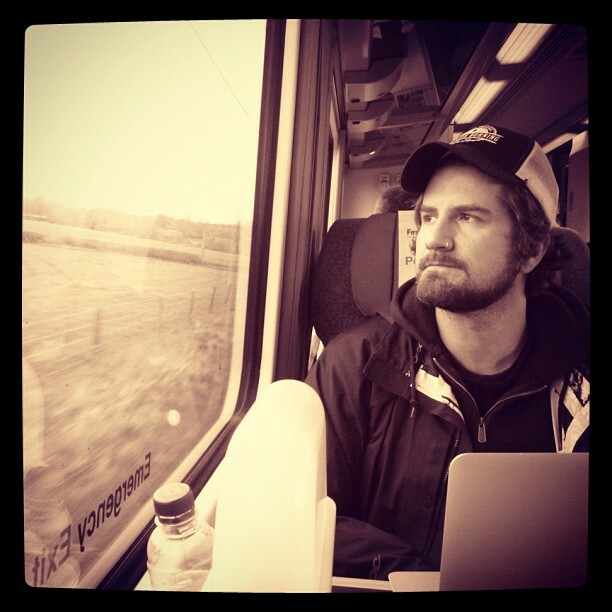 George specialises in working with engine activity, fits in very well with the team and has a lot of experience. He also worked on the development of MINI WRC so can really give good insight into how to prepare the car best for an event! 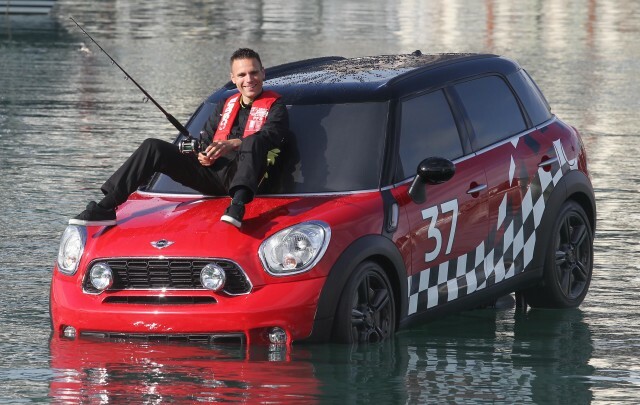 'One of my favourite memories of this week for the team was getting to see our Team Manager Bruno fishing on a MINI [pictured above] in the middle of Auckland's harbour, a real treat! :-) Although, the professional highlight of the event for me was getting both cars to the finish without problems. It's been a busy run, with Rally Argentina, then MINI United followed by the Greece test, Acropolis Rally and Rally New Zealand coming thick and fast. We had to re-shell a car in the Service Park in Greece after an accident on the test ruled out using the car on the rally. This was a real feat and showed that the team has real depth in being able to react quickly and effectively to unpredictable situations. Most people didn't even notice this occurred other than the few people who spotted a bodyshell arriving on a transporter late on Tuesday afternoon prior to the rally. For this reason I'm really delighted that the guys at MINI New Zealand gave all the mechanics and myself a traditional Maori friendship token to mark the hard work that's gone in since the start of the season, especially over the last few months. Often mechanics are the unsung heroes of a rally operation! 'It was great to be back in New Zealand, it's a truly beautiful country. It was nice to drive around the North Island, the service in Raglan, refuels and Whangarei were a pleasure to visit. New Zealand has stunning views, the weather at this time of year makes it all the more special - watching huge clouds roll in across the rugged landscape you often think you could be in Wales and then you are reminded you aren't when you spot a huge prehistoric fern! Magic! 'For now it's time to pack up the containers for the sea freight and await the cars coming out of Parc Ferme so we can prep them for their long flight back to Europe. Today I've already sent the setup sheets, damper and transmission specs for the Tarmac test in San Remo where we have some good roads which mirror conditions in Germany. In no time at all, Rally New Zealand will be a fond memory! 'Thanks for following WRC Team MINI Portugal's adventures over the weekend and stay tuned for more behind the scenes stories! New MINI Model At Rally New Zealand Called . . .
MINI is taking its renowned go-kart handling to the next level, introducing a new model to coincide with the 40th anniversary of winning Rally New Zealand. “We’ve pushed the boat out with this one and it’s bound to make a splash,” said MINI Brand Manager, Simonne Mearns. The new MINI model will become a talking point amongst people coming to the Viaduct area to sample some of the rally action. “We want to find a new name for this model and are taking suggestions on our Facebook page – www.facebook.com/MINInewzealand,” said Ms Mearns. The new MINI will be parked outside the pubs and clubs of the Viaduct area for the duration of the rally. “At least we know this is one vehicle which isn’t going to be wheel-clamped,” said Ms Mearns. MINI will continue to get amongst the rally action this weekend with a dedicated Fan Zone at the Viaduct Events Centre. Fans can ‘get their rally on’ and become part of the action with behind the scene service park tours, driver autograph sessions, a MINI Countryman photo activation and view MINI GC4 from the 1972 Rally of New Zealand. "the speedo would be moving behind the steering wheel to where the current car’s tachometer is. . . . The rev counter is the smaller semi-circle to the left of the speedo. Inside the speedo will be a large digital readout similar to the one found on current small BMWs." A quick video about how to replace mirror on a 2009 Mini Cooper. This was so easy it surprised me. Just turn the mirror to expose the two 6mm allen head bolts and then unplug the wiring. That's right! It's an ice F1! The Clubvan will be shown off for the first time at the 2012 Goodwood Festival of Speed, from 28 June to 1 July 2012. Perhaps it'll be in charge of catering. Sales are due to start soon after, so bakers, florists and mountaineers had better form an orderly queue. Is The MINI D Clubvan The Ultimate Driver's MINI? The Cooper D has a 110bhp 1.6 diesel. MINI says the Cooper D Clubvan is capable of 72.4mpg. Electric windows, a DAB digital radio, air-con, 15-inch alloys and black cloth trim are all standard. As a two-seat premium plaything, the 2012 Mini Cooper S Roadster scores on many fronts. It’s uber-chic, a hoot to drive, and from the cool roll hoops to the whimsical “top open timer” gauge that tells you how long the top has been down, the design details delight. My advice would be stay away from the sports suspension and rainstorms. This past weekend thirty MINI clubs from the UK and Europe and a large number of unaffiliated MINI/Mini owners assembled at Brands Hatch for MINI/Mini racing, car stunt shows, parades and world record attempts. Highlights included 248 MINIs/Minis taking two parade laps around the 1.2 mile Brands Hatch Indy circuit; Stunt driver Russ Swift and his MINI/Mini stunt show; a new world record for John Evans balancing a genuine Mini on his head; and Mini Se7en Championship races. The JCW Coupe comes up second to an extraordinary car. But in reality it holds its own as a tool for driver enjoyment and fun. The combination of the low-slung style and overall eagerness of the package makes this MINI the ultiate expression of the modern MINI Go-kart mentality. And that, above all else, equals fun. 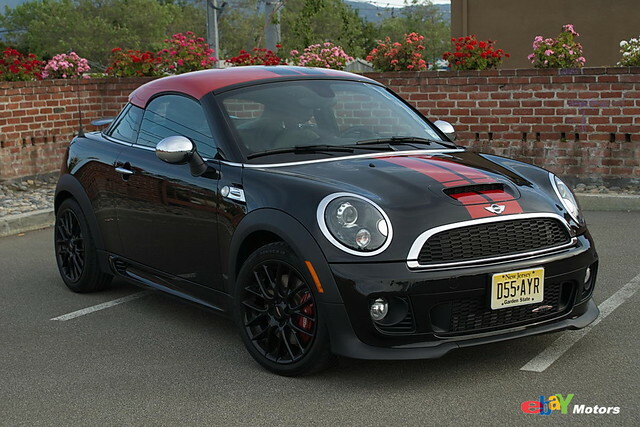 The JCW Coupe (like the M Coupe) is meant to be the hooligan of it’s respective line. It’s a throw-back to the days of cars that were’t santized for the lowest common demonator. Instead they were made by men and women who wanted to make a statement for the brand and create a car that they themselves wanted to drive. 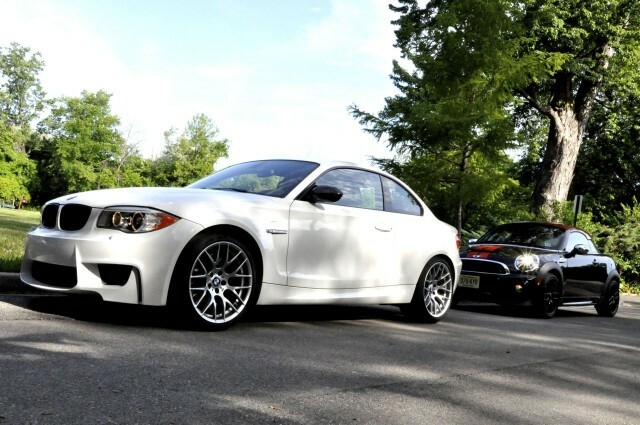 With the JCW Coupe and M Coupe, MINI and BMW have done just that. For those who approve of the look and don’t mind the harsh ride or the stiff price tag, the Mini John Coupe Works Coupe could hit the spot. A lot of this is style over substance, mind you, with quite a few other hot compacts offering comparable performance at lesser prices. One area where I expected the Countryman to fall flat on its face was when we turned off the beaten path onto a dirt access trail. With its sport-tuned suspension, run-flat tires, and front-biased all-wheel drive system, I wasn't expecting much from the Countryman. The rutted and rocky roads wouldn't have made a Wrangler even break a sweat, but what about our Mini? Well, I'm happy to report the Countryman took to the dirt roads like the Secret Service to Colombian prostitutes. The Mini never once struggled for grip, and it took every ounce of will to resist rally-style hooning. "Now In America Size Matters"
Because of this seemingly parts-bin approach, don’t expect BMW levels of quality, but do expect BMW levels of maintenance costs when considering the Mini Cooper S’s Reliability. There are plenty of things, from clutches to electric windows that have been known to fail on these new Minis. But while you may not know what’s going to break next on your Mini, one thing you can absolutely be sure of is that there will be a smile on your face when you’re driving it. World Record Double Loop The Loop in a dune buggy by the Top Gear Live Stunt Team. What’s the 2012 Mini Highgate like inside? Pretty special. The Highgate comes with unique ‘Dark Truffle’ leather seats with blue piping, brushed aluminium trim and leather inserts. It’s easy to find a comfortable driving position, too, because the pedals are well positioned and there’s plenty of seat- and steering wheel adjustment. However, reversing can be tricky with the roof up because large rear-quarter pillars obstruct your view. With the roof in place, occupants have a surprising amount of headroom, but rear legroom is restricted and you won’t get much luggage in the boot. 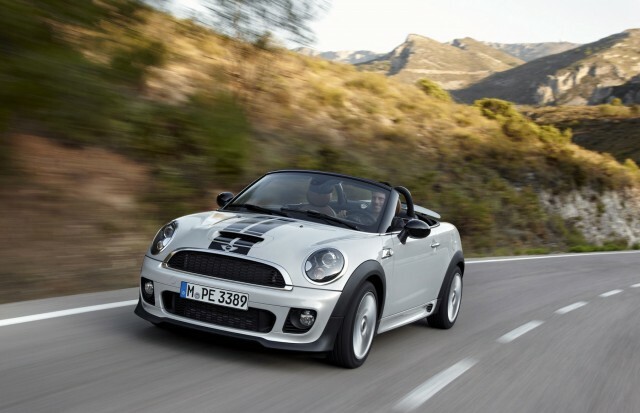 The Mini Convertible's electrically operated roof opens and closes in 12 seconds. The Highgate is ideal for anybody tempted by the individuality of a special edition, but at £4005 more than a standard Cooper Convertible, that exclusivity is not cheap. We’d save some cash and add a Chili Pack to the standard car instead. Cost less to make than the $200+ for OEM. From June 9-10, 2012 in Montreal. But that latter expression of pique is does not change the fact that all three versions of the Cooper convertible are smile-laden expressions of the joy of driving. They are “me” cars that pretend to be nothing else, and that’s okay. There is simply nothing like climbing behind the wheel of a pretty convertible or roadster, dropping the top and hitting the road to nowhere in particular on a gloriously beautiful day. It is almost like prayer. The car is your pew. The road beneath a pristine sky is your chapel. The test vehicle was fitted with an optional six-speed Steptronic automatic transmission ($2350) which added a new dimension to the sporting nature of the Coupe. Gears were selected manually using the shift lever, or steering wheel-mounted paddles. The paddles weren’t as easy to use as in most others, but if it was our money we would go for the manual any day. Having said that, the auto produced a relaxed drive, even in stressful heavy traffic. In the automatic Mini JCW we tested fuel consumption was in the five to six litres per hundred kilometres range on the open road, but fanging the car around our interesting mountain route saw it leap to the nine to ten litre range. Much has been done to match engine performance with handling qualities. Agility of the sort found in a go-kart, was the catchword. There was no denying steering and stability were of the highest order for a car of this segment. The ride which was harsh and skittish on at times on uneven surfaces, to the extent it could upset some passengers. On smooth blacktop the minor discomforts were soon forgotten in the sheer joy of driving the new exotic Mini. TopSpeed offers a few spy photos. All things considered, asking $34,400 Canadian for a well-equipped all-purpose Mini with room for four adults isn't too much of a stretch. Exclusivity is still a big part of the brand and Mini is making a calculated decision to choose their family wisely. Given there is much more coming down the road, the opportunity to keep you in the fold will be significant. Though not a new concept in the world of automotive sales, it does offer the potential for a very enjoyable long term relationship. MotorAuthority has got it and you can watch it here and view some stills. Bluetooth will be standard on every 2013 MY vehicle (formerly a $500 option), replacing Sirius Satellite Radio. Sirius will now be an option ($250) and includes a one-year subscription. The Technology package now includes Sirius Satellite radio, Comfort Access in addition to the existing MINI Connected feature. A center armrest (with integrated iPhone adapter pre-wiring) is also included. 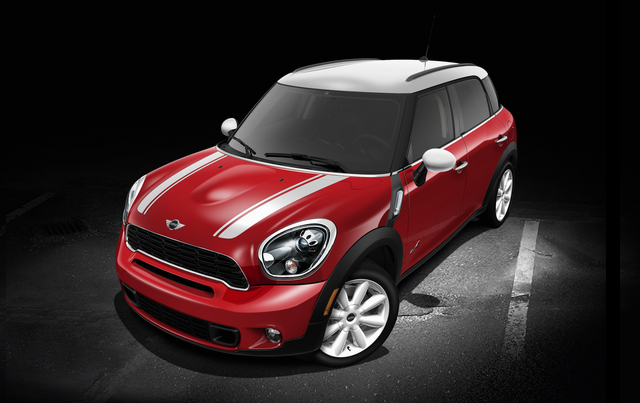 A new Premium package ($1,250) has been added for the MINI Hardtop and Clubman that includes the three most-popular options—a Dual-pane panoramic sunroof, Automatic wipers and Automatic climate control. Bundled together, they offer a $500 discount. The JCW now comes with what MINI is calling “the JCW steering wheel”. However this could just be the standard wheel with a JCW logo on the button spoke – we’re awaiting confirmation. Kite blue is now available as a JCW option – as we indadvertedly alluded to in our Roadster speccing article a few months ago. MINI Roadster – The semi-automatic roof and rear wind deflector are now standard on all MY 2013 Roadster variants. Model year 2013 production of MINI Hardtop, Convertible, Clubman, Coupe and Roadster will begin in July 2012. 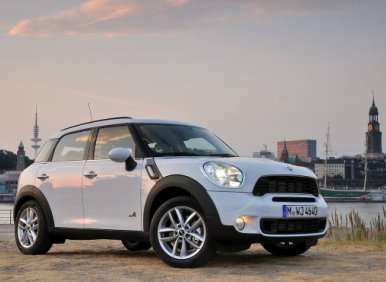 Model year 2013 production of MINI Countryman will begin in November 2012. 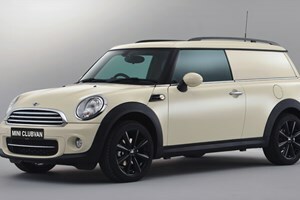 Model year 2013 production of MINI Clubvan will begin in September 2012. 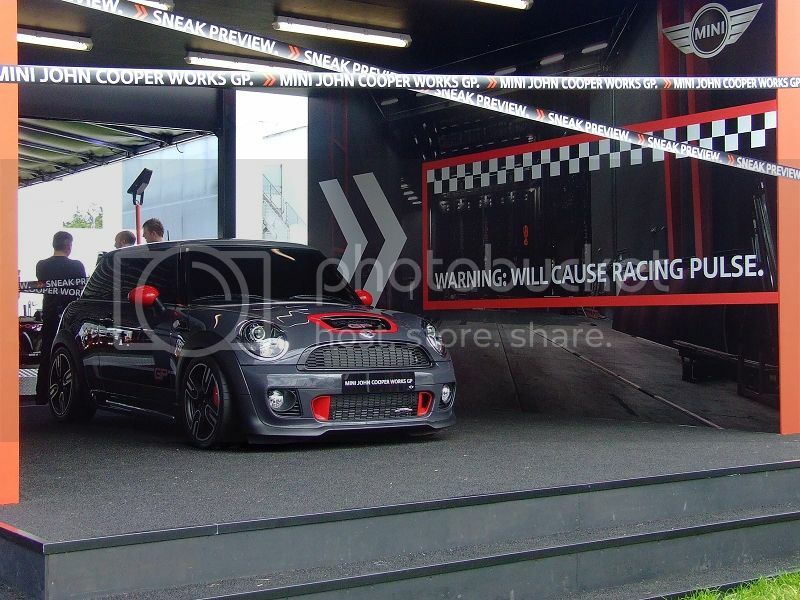 "Taming The Tail Of The Dragon"
MINI At Red Bull X Fighters!